What does Trump’s win mean for Canadian mortgages? One of the mortgage industry’s biggest questions has become: Where do Canadian mortgage rates go now following Trump’s stunning election victory. 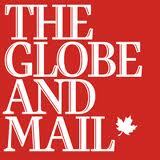 The Globe and Mail turned to intelliMortgage co-founder Robert McLister for his take. “This Trump win is a game-changer for the rate market, everyone in the industry knows it and consumers are going to start hearing more about it,”McLister said. He went on to share some strategies prospective homebuyers—and homeowners with upcoming mortgage renewals—might consider given the near-term likelihood of increasing rates.